After one of the most frustrating weeks with our Website server, we decided on the advice of our host to migrate the sites to a new server. This simple and quick and safe process turned into a complete nightmare with eventually missing files, email issues etc. Today I can now put a line through those issues… we are back and running on a new faster server with all systems going. So please do visit our shop at Gorjuss Art, there you can pick up digital tubes for web use. You can also buy prints, bottle openers, pocket mirrors, keychains, pendants and Original Art works by my talented wife Suzanne Woolcott (aka Gorjuss). As a result of our new fully working sooper dooper server I can now RE-LAUNCH our Just Gorjuss Group, its a forum for all of our freinds and fans to share their gorjuss tags and stats and home made cards using gorjuss stamps and decoupage. Now that you have made your creations why not join a web group to show off how darn clever and creative you are. And that is exactly what our friendly Just Gorjuss group is for..
Once approved you are free to go through all the features of the forum, make your own blog, have a laugh in the chat room, share and see all the gorjuss creations, maybe take part in one of the regular competitions… but most importantly you will make lots of new friends. We often use our forum chat room to host live chats with Suzanne, sadly due to her continuing ill health she will not be available to do this, however if you can accept 2nd prize me – Mr G, then I am very happy to be in chat on our Re-Launch DAY… (I will be in and out through out the day). “So Mr G, whats happening on Re-launch day? Will there be fun and prizes? When is RELAUNCH DAY?”. Thank you for asking such clever questions, Relaunch Day is FRIDAY 15th July 2011 – 6pm GMT 6pm Pacific Time, yes we will be running a few competitions and there will be plenty of chances to win some gift certificates to use at our Gorjuss art shop. So do pop in, please be patient on your validation emails we will be checking them frequently over the day, normally it can take up to 24 hours. I will also be in the chat room through out the evening for questions, help and fun.. so please join us. 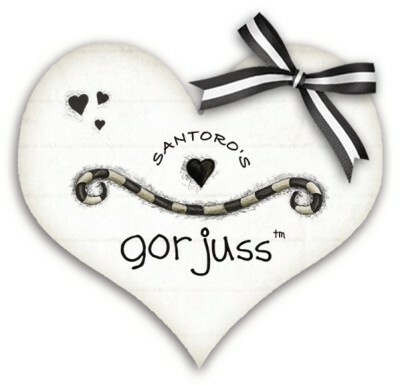 There will also be a NEW SPECIAL discount code for our Just Gorjuss forum members. It will be available to 200 of the members on a first use basis. So be there. On Friday Launch time, this address will take you to the new group page. BORING WALLS?? THEN YOU NEED WALL ART!! Now I want to reveal our new Canvas Wall Art range at Santoro, these come in a variety of sizes from the small collectable to great big whopping slices of gorjuss to cover unsightly holes on your walls, or to bring that smidge of gorjuss into your room. These artworks look great on walls, and your walls don’t have to be stripey (though thats ideal), so get that picture you love and proudly display it in your home, or give as the perfect gift for that special friend. The range of images available will grow in time, so if you don’t see the picture you want, don’t dispair, it will be there soon. 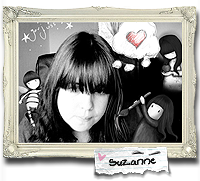 Why not let Santoro know which image you can’t live without on canvas! They are very freindly people and would love to hear from you about what you love and need. Well thats me for now, I expect to release more blogs soon, so do keep checking back as often as you can. Currently I am spending lots of time at Woodside physio and the Western’s Ortho dept (hip and shoulder problems) so sympathise with how hard it is to keep on drawing . . . the shoulder is why I had to give up oils for a while (couldn’t lift my arm high enough to paint at an easel!) and have re-discovered inka nd watercolour and small scale . . . your stuff does, however, continue to be gorgeous!